When I saw the gorgeous and vibrantly bronzed look from Chanel's Mediterranee 2015 promotional image, with that "come-hither" purple on the waterline, I was sold. Another breathtaking embossed powder from Chanel, Lumiere d'Ete Illuminating Powder is a slightly warm/neutral, medium tawny-brown with a golden-tinged, luminous sheen. The satiny, gelee-powder texture is firm, yet silky smooth, and it melts onto the skin; thus, giving a lovely bronzed glow. 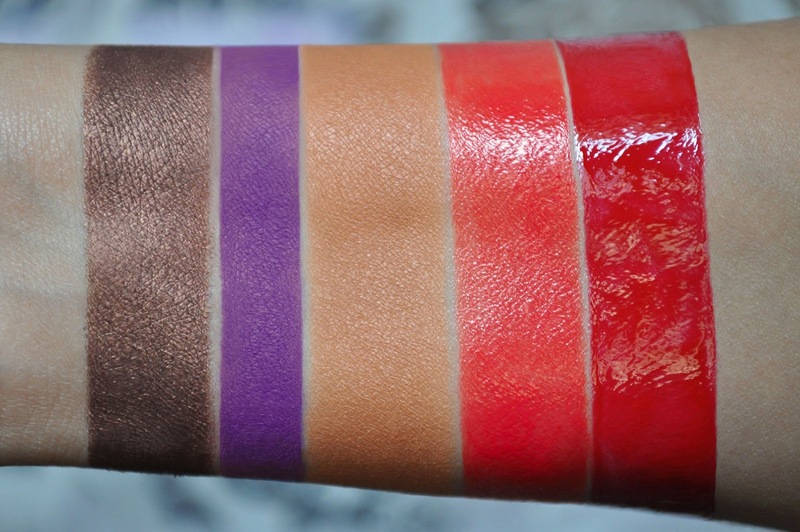 From left to right: Stylo Eyeshadow Caroube 147, Stylo Yeux Waterproof Orchidee 997, Lumiere d' Ete Illuminating Powder, Rouge Coco Shine Insoumise 507, Levres Scintillantes Allegria 457. I love the pairing of these products, and the bronzed, with a "punch of color" Summer look they create. If this picture could talk...just as I pressed the shutter release button, the camera slipped out of my hand, and I just barely caught the camera by its strap before it hit the floor. So, if my expression looks tension or startled, that's why. 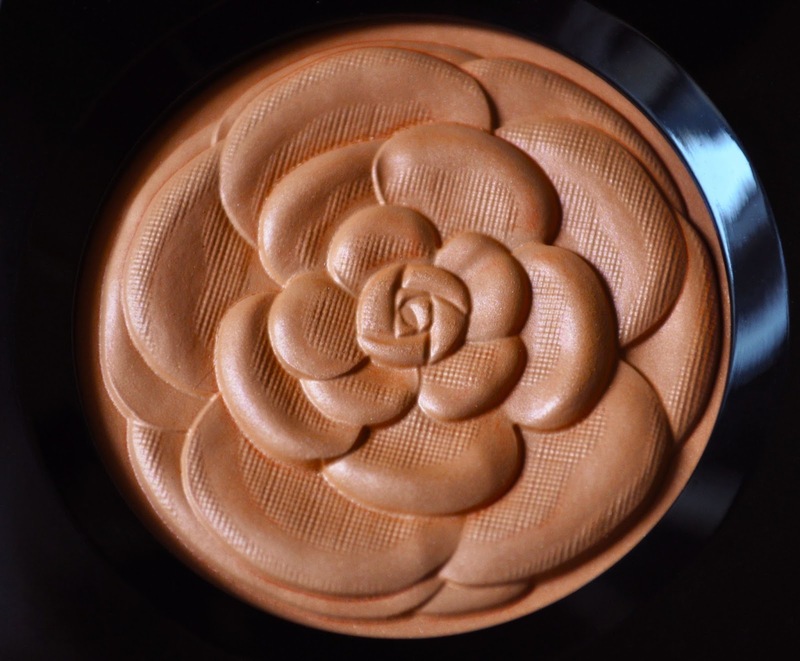 Chanel Lumiere d'Ete Illuminating Powder. Chanel Stylo Eyeshadow in Caroube 147 (all over the lid, blended into the crease and lower lashline). 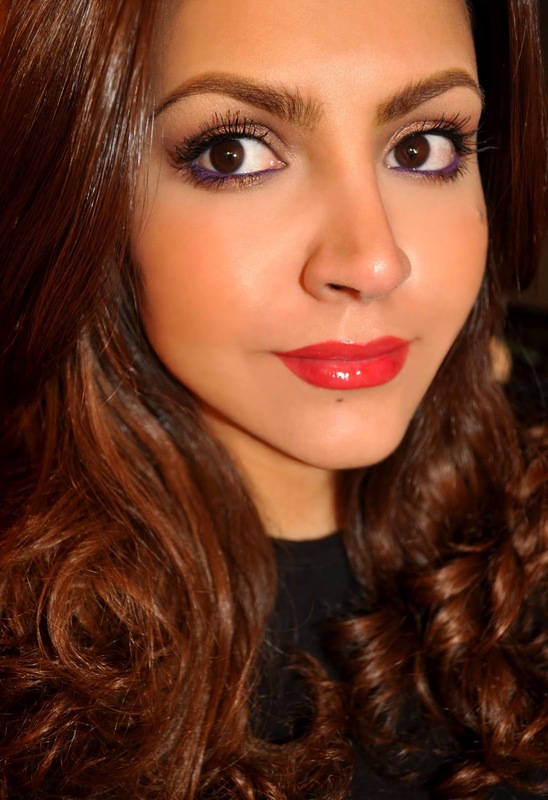 Chanel Stylo Yeux Waterproof in Orchidee 997. Stila Kajal Eye Liner in Onyx (used to tightline). Chanel Rouge Coco Shine in Insoumise 507. Chanel Levres Scintillantes in Allegria 457. Did you pick up any items from Chanel's Mediterranee Collection? I missed out on Caroube (sad) but managed to pick Laurier Rose and also the Stylo in purple. I haven't actually managed to wear the eyeliner yet but I adore Laurier Rose. I think Caroube is still available online. I have a look I need to post with Laurier Rose; very pretty on the lids. If you post a look wearing either products, please link it (just in case I miss the notice). Self imposed curse...I like it :P What Summer collection did you have your eye on? Not to jinx myself, but I've been blessed with good skin...Thank you parents! The only one I was actually eyeing was this Chanel one.I didn't care for YSL and Dior's so much and these are pretty much the only brands available on my island at the moment and by the time I get to Athens it'll be autumn...And I can't really buy online cause...well,capital control rules. I liked YSL and Dior Summer (posts coming soon). Capital control rules, do tell?! I haven't done a Skincare routine post yet, but I mean to. Well, nothing much to say on the topic...As you may know it's been some months since capital control has been imposed on the Greek banking system and there is a set limitation on the amount of money people can retrieve from ATMs as well as a restriction on transactions with foreign sites, accounts and paying systems (that is none of them are allowed by the system, so no online purchases from non-Greek based sites or stores)...Isn't it lovely? Okay, you answered my question from another post. That's horrible that the government can control the funds of its citizens, where and how you spend your money...scary. Love LOVE your look yet again! I love the shadows on your lids, it looks like a smouldering bronze scenery! Also that pop of purple is so gorgeous! Lately, I've been all over this look; it's so easy and fun. Did you get any of the products from this collection? I like what you've done with Orchidée. It's subtle but takes the look to the next level. It complements your skin tone beautifully. I adore purple, but I can't find one that suits me. Thank you BooBooNinja, how have you been? I love Purple eyeshadows, liners, lipstick, blushers, polishes, etc.